The 1972-1989 Mercedes-Benz SL may get all the glory, but it's worth remembering that the German automaker produced another coupe during those years, one that we rarely see today. That's right, we're talking about the W123 Coupe, and while the sedan and station wagon versions of this car are still smoking away on our roads, the coupe is one of those cars that you forget existed until you see one in person. Well, we didn't forget about the W123 coupe, but with so many sedans and wagons still around it's easy to see why people barely remember the two-door hardtop version of this popular Mercedes-Benz platform. And this week there's an unbelievably clean 1980 300CD with claimed 57, 000 original miles on eBay. That looks pretty sharp for a 1980 W123 interior. They say that W123s never die, they just go into hibernation until the next gas crisis. This time the W123s are coming out of hibernation not so much due to the gas crisis, but for the brew-your-own-biodiesel crowd. "The first owner purchased locally in Denver. The title is the original Colorado printed title from 1980, how many of those could still be around?! You will receive this original CO title, it has been notorized and is free of any liens or backfees. This has to be one of the finest, lowest mileage 300CD's available. The original owner spent his winter months in La Jolla, CA so this vehicle has never seen harsh weather or snow on the roads." The interior looks about right for the claimed mileage. While the diesel W123 cars are known for their longevity, what they're not known for is performance. But we have to agree with the seller that the naturally aspirated non-turbo 300CD is as good as it gets for oil burning Mercs. 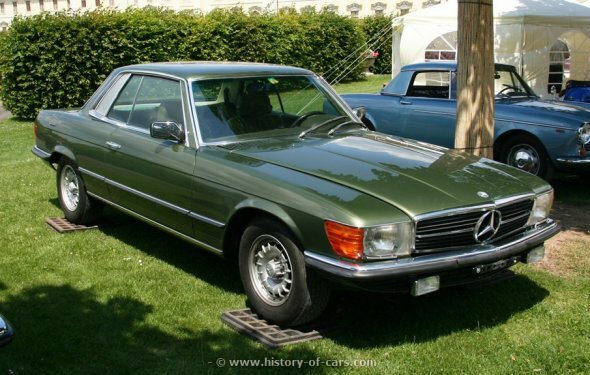 "The interior and exterior of this Mercedes are in fantastic condition. The exterior chrome is all like new, there are no dents or dings on any bumpers or trim. The rubber is in great shape, no dry rot or cracked gaskets. All the door seals are as new. The tires are matching Michelins with a lot of tread life remaining. The factory alloy wheels look great. The jackpoints are like new, no rust, no damage, they still look and will operate like new. The body is free of any dents or damage, there are some rockchips that have been touched up with matching MB paint, very small and unnoticeable. The headlights, fog lights, & taillights are all like new, free of any pitting or cracks. The undercarriage looks like new, free of any rust or damage. There are no leaks, and no issues. The trunk compartment still looks new" the seller writes. It wears U.S. spec glasses, but who cares? That's part of the charm. Since W123s have become "a thing" again we've seen some high asking prices for well restored examples, but this one just appears to have been really well maintained, so the seller is not adding up the no-expense-spared restoration bills with some ridiculous Buy-It-Now price.